Decades ago, the word “Byzantine” was used as a synonym for corruption and decadence, however, the period between 395 and 1453 was also one of great scientific progress. Byzantium, later renamed Constantinople in honor of its founder, Constantine, was a land where Latin, Greek, Islamic and Jewish traditions mixed to create a new way to study Math, History, Science and Astronomy. Consequently, there were great discoveries by dedicated scholars, such as Claudius Ptolemy, Gregory Chioniades and Nicephoros Gregoras. The scholars of this period were committed to preserve and transmit the traditions and scientific knowledge of the ancient world. During the Byzantine era, the Astronomic model was geocentric, meaning the consensus view was that the earth was at the center of the solar system; however, most scholars were aware of some existing errors with regards to measuring the stars and planets. 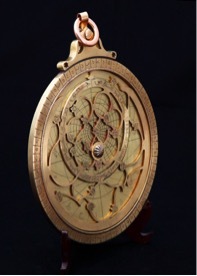 A gradual improvement of methods, such as better use of the astrolabe, culminated centuries later with the introduction of the heliocentric system, which correctly placed the sun at the center of our solar system. 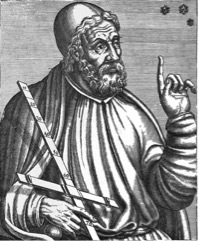 Gregoras, who lived between 1295 and 1360, understood the mechanism of eclipses, and he calculated all the solar eclipses of the millennium up to the 13th century. He also predicted future eclipses of both the sun and the moon, constructed a prototype astrolabe, and proposed reforms to the calendar, all of which led to great progress for human kind. In the text The Schemata of the Stars, Chionades draws some diagrams for solar and lunar eclipses where the earth is spherical. This provides further evidence that the Byzantines (as well as several other cultures around the world at that time) considered the earth to be spherical. Some years later, when Gregoras refers to the Earth in his famous work Roman History, he uses the phrase ‘below the sun’. There, indirectly he accepts its spherical shape, and he also refers to its subdivision into parallel circles and continents. 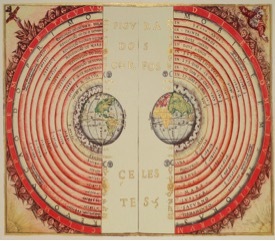 As mentioned previously, Byzantine models for the sun and the planets are geocentric. Essentially this means: for each celestial body it is necessary to introduce a system of spheres whose axes and rates of rotation are exclusive for them. For Chionades, Mercury and Venus are inner planets and, as seen from the earth, appear to follow the sun because they are sometimes ahead and at other times trailing the sun. Also, regarding Mercury, Chioniades makes an interesting remark concerning latitude. In his writings, he explains that among the five planets, four of them have their apogees (highest point) in the northern hemisphere of the globe, except for Mercury whose apogee is in the southern hemisphere. Was this the result of observations, or was he echoing an ancient tradition? We may never know, but this description of the latitudes survived after the introduction of the heliocentric system, with both Rheticus and Copernicus making similar observations. 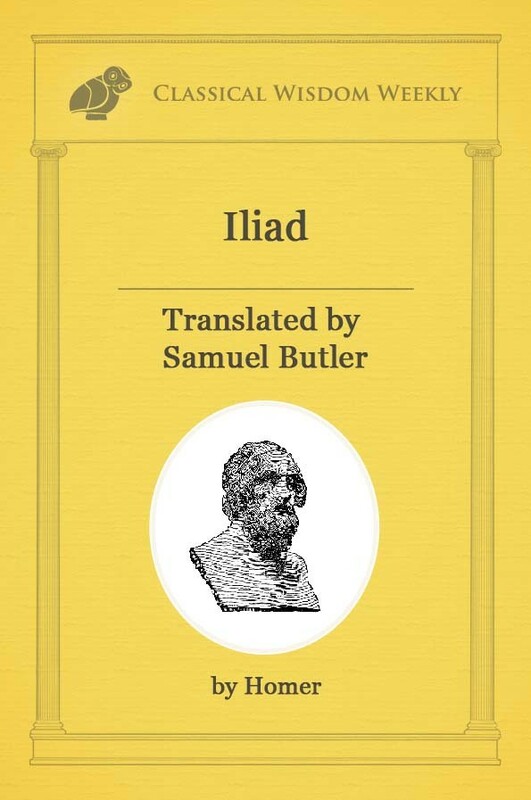 Years later, a mixed model with Venus and Mercury rotating around the Sun, and all of them together rotating around the earth, was introduced by Heraklides of Pontus. 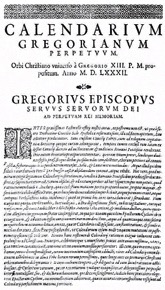 The writings of Gregoras are especially important; today we know Byzantine astronomy owes much of its progress to him. 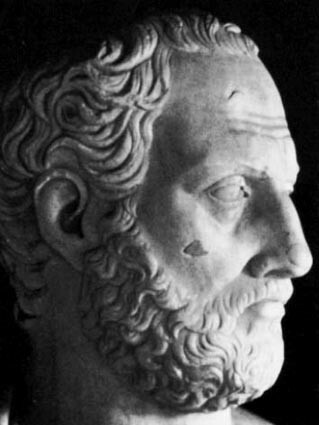 Aware of the mistakes made by his predecessors, in 1324 Nicephoros Gregoras proposed a correction to the calculation of the date of Easter, and to the Julian calendar itself. At that time, his beliefs conflicted with his work, so he retired from public life and his work was discredited by the church. The calendar as we know it today was implemented by the Italian, Pope Gregory XIII in 1582. Though the so-called Gregorian calendar was named in the Pope’s honor, it was not his invention. Established on October 4, 1582, the new calendar solved the problem that the Julian year had 11 minutes and 14 seconds more than the solar year, which had a cumulative effect to the date of the spring equinox. Despite the fact that Gregoras didn’t live to see it implemented, it’s one of the main contributions that Byzantine Empire bequeathed to us.